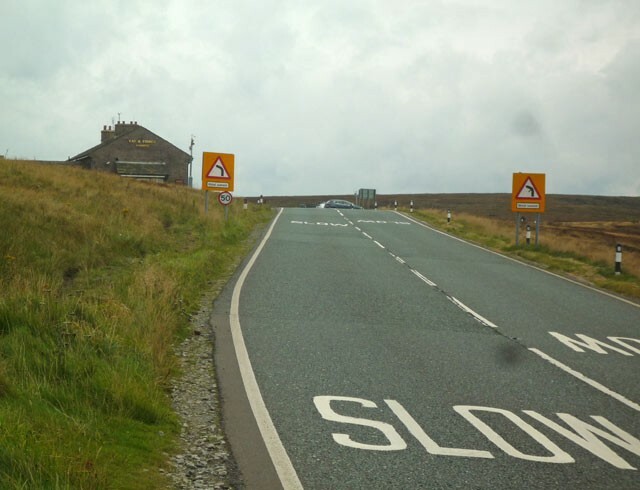 The Cat & Fiddle is one of the longest climbs in England. It averages 3.2% over 10 km. 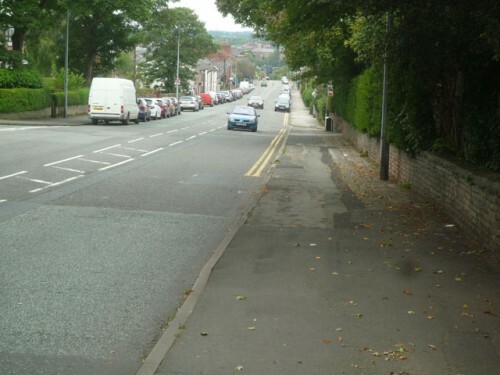 It is a fairly steady slog all the way to the top, but there are a couple of short sections of downhill. It is steepest when leaving the town of Macclesfield. On leaving town, it is 6% for the first two km. Then it levels off to 3-4%. 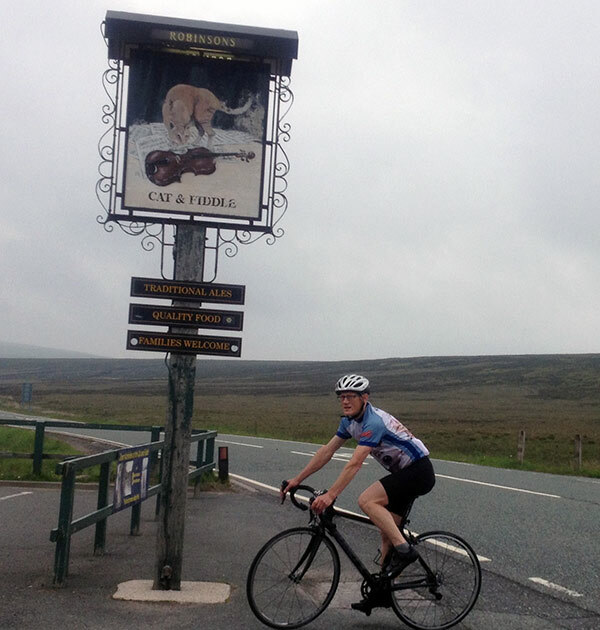 Everesting attempt – Frank Manning 26 June – 2015, 315 miles see below. 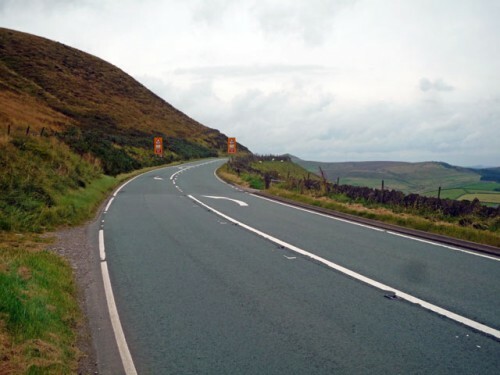 With a gradient of 3%, it can be quite a fast hill climb (relatively). 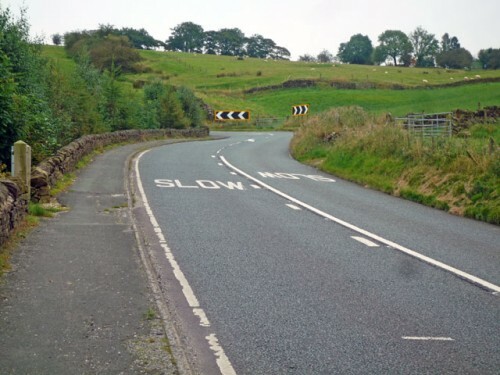 If you are racing the Cat & Fiddle in a hill climb, you may often be faster on a time trial bike – especially with a headwind. My time trial bike is over 2kg heavier than road bike, but I feel the advantages of aerodynamics outweigh the weight gain. 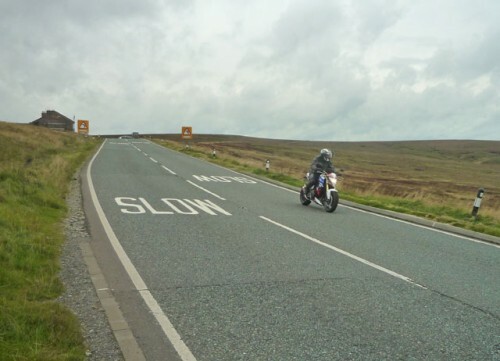 One thing about riding the Cat and Fiddle is that the wind direction is going to make a big difference; it is really quite exposed at the top. In a head wind (2012) it took me 21 minutes, with a tailwind (2013) 18 minutes. But, without a time trial bike, the headwind attempt would have been slower. Needless to say, it’s much more fun cycling up with a strong wind behind you! 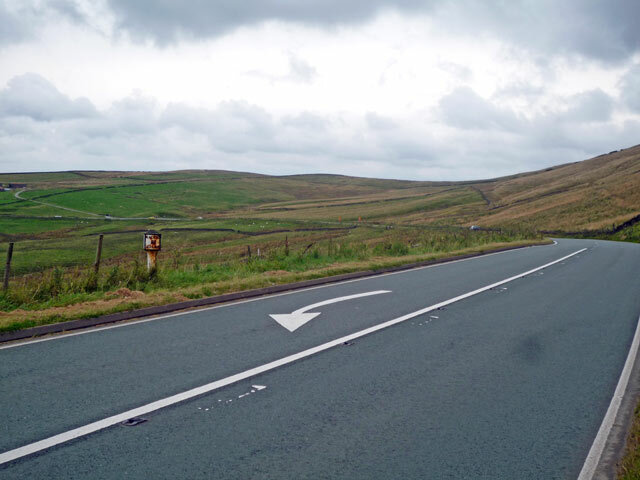 In 2002, the national hill climb championship was held on the Cat & Fiddle. It was delayed by three weeks because of a storm on the day of the championship. 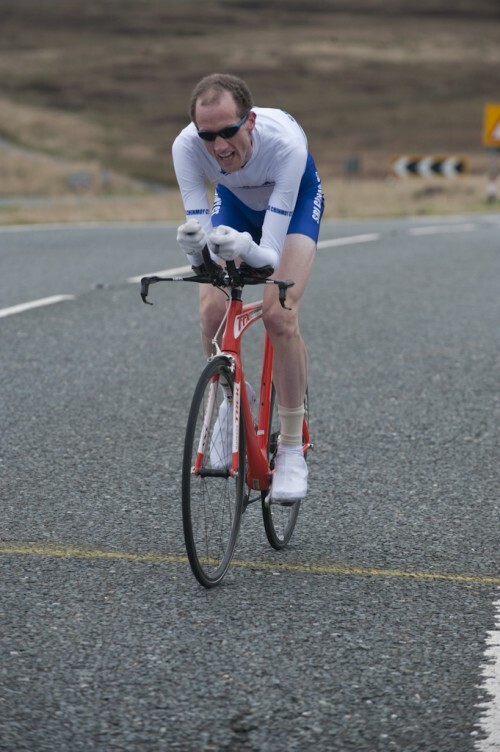 In late November, the title was won by Mark Lovatt in a time of 19.33. 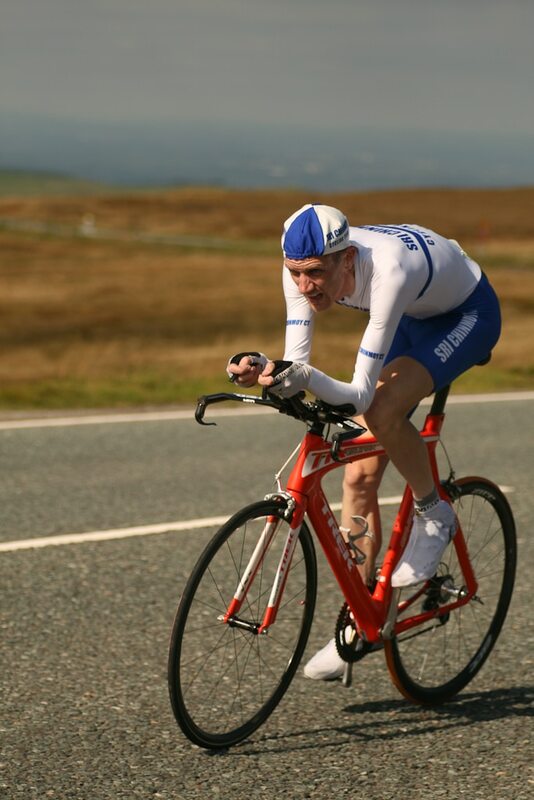 Lovatt was over a minute ahead of 2nd place Michael Hutchinson (a prolific time triallist, but not a specialist hill climber). Ian Stott (from Blackburn & District CC was 3rd. Five times champion Jim Henderson finished 4th. See: Jim Henderson’s report of the 2002 title. There are many other great climbs around this part of the world. Last year I did the climb for the first time in a time of 21.02. But, last year, the weather was tough – a headwind and cold. Today, was about as good as it gets in September. Warm, and most importantly a nice gentle tailwind. It can be wild up in this part of the world, but the trees were barely moving, you had to pinch yourself the hill climb season is getting well underway. 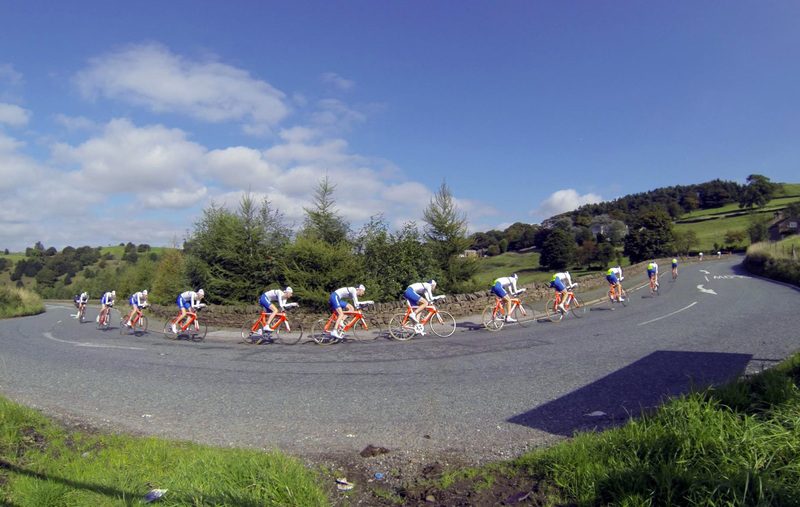 Photo courtesy: 5th place Bhima Bowden (Buxton CC) – 14 photos combined into one!. I think it’s a really great photo, if only slightly disconcerting to see 14 images of yourself! In Macclesfield I was warming up on the rollers, and was soon working up a sweat in the balmy heat of Lancashire’s Indian Summer. I had to towel myself down to get rid of sweat before heading over to the start. The start of the climb is the hardest and steepest part. The sign says 10%, but I don’t believe that – more like 8%. For the first couple of miles, I was pretty close to the limit, and worried I might be going too hard. 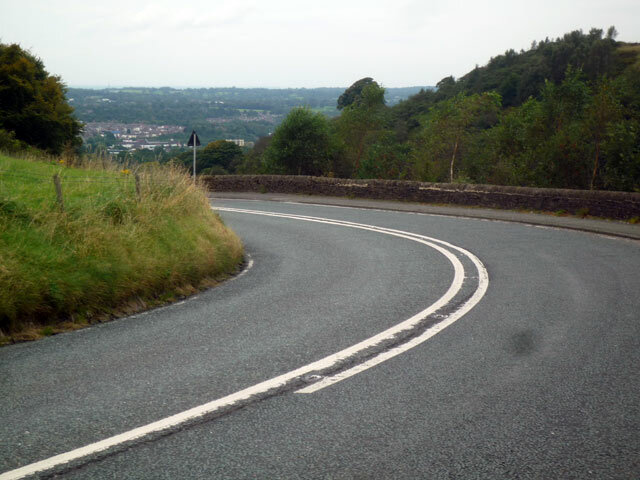 Then about half way up, you start to get the first downhill and flattish sections. At this point I was tucking down into time trial bike and hoping for as much free energy as possible. One of the challenges of the Cat & Fiddle hill climb, is that there are some quite sharp corners which you can approach at quite a speed. I seemed to be on and off the tribars quite a bit. It might have been possible to shave a few more seconds here and there. 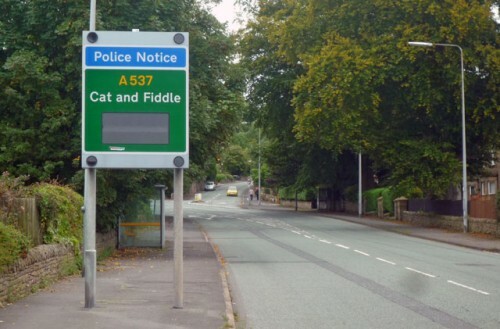 But, the A 537 is a busy road, and I wasn’t going to start cutting any corners. One interesting thing about using a power meter, is that you become much better at guessing how much power you are putting out (even when you don’t use it). Before, I used to judge my effort on speed. But, with a power meter you learn that often on a hill as your speed increases, your power reduces. Speed can be very misleading to the effort you put in. It was a guess, but I felt I was using less power over last half of the climb. But, I think I judged it OK. The steepest section is the most important place to give a big effort as long as you don’t blow up and can keep going. It was also a new course record for the women. Joanne Blakely (Champion Systems – Maxgear) set the fastest time. She just pipped Vanessa Whitfield (Velo Club St Raphael) But, no fewer than 4 ladies went under the old course record time! It was strong competition all-round. There was a full field of 150 plus reserves, with some good times. Thanks to Weaver Valley CC for putting on event! I haven’t seen any results online yet.